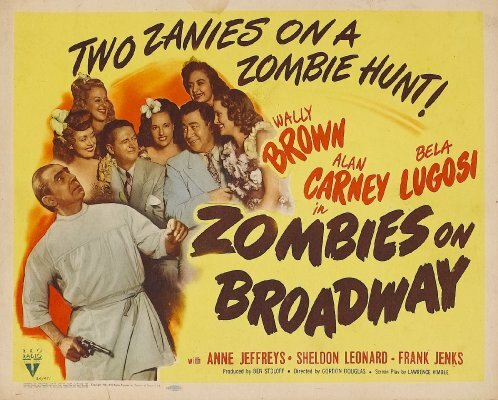 Are you a fan of weird movies such as Abbott & Costello Meet Frankenstein, Zombies on Broadway, or Spooks Run Wild? If so, you’ll want to check out Scared Silly: Classic Hollywood Horror-Comedies, a site owned and maintained by none other than Paul Castiglia, who also happens to be this week‘s guest on Critical Juncture. So whether you get a kick out of the Three Stooges or the Bowery Boys, Paul’s amazing site will provide a thoughtful look at an important–and rather hilarious–part of cinematic history. 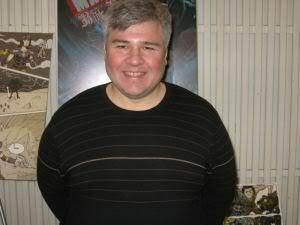 Paul Castiglia has been sharing his views on pop culture for over 20 years, and he’s also been a writer and editor of comic books. If you’ve ever picked up a copy of Archie’s Weird Mysteries, based on the animated series of the same name, then you’ve read the work of Paul Castiglia. And be sure to keep an eye out for Paul’s book, also known by the title Scared Silly. Classic horror-comedy films will be examined in even greater detail, as well as low-budget gems and short subject spoofs. And to top it off, Daniel Roebuck will be writing the forward. You might know Roebuck from his role as Jay Leno on The Late Shift or dynamite expert Dr. Arzt on Lost. But he also happens to be a collector of monster movie memorabilia, as well as a spook show reenactor. 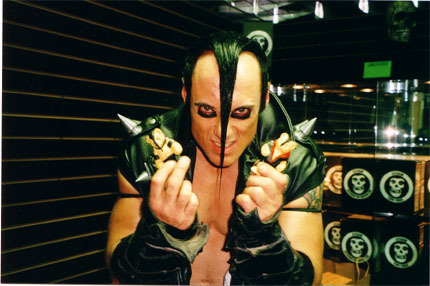 That’s right, horror music fans…it’s Jerry Only of The Misfits. That gives Paul some major horror credibility, even if he doesn’t sport a Devilock or play bass guitar. Paul Castiglia: Boy that’s hard to say. My parents used to take us to the drive-in. I guess the earliest film I can recall that had the biggest impact on me was Disney’s Pinocchio. And it’s still in my top 10 to this day! OGM: Is there a particular film that you feel is criminally underrated? PC: Wow, where to start? That’s a really tough one to answer because I’d have to ask who is doing the rating? You know, a majority of critics may rate a film one way but fans of that genre may totally appreciate the same film. Let me think about that and if one film pops up that I feel can fit the criteria I’ll answer this question at the end. PC: From the golden age, I’d go with Stan Laurel, Billy Wilder, Preston Sturges and Alfred Hitchcock with Orson Welles, Jacques Tourneur, Frank Tashlin and Mark Sandrich as honorable mentions. I also have to cite James Whale for his classic horror films (I’m not familiar with his musicals) and Edgar G. Ulmer simply for the Lugosi-Karloff Black Cat and the zero-budget noir classic Detour. Come to think of it, I might as well throw animation directors Tex Avery and Bob Clampett onto my favorite directors list, too. The ‘40s and ‘50s noir directors are also high on my list, including Jules Dassin, Fritz Lang, Edward Dmytryk, Otto Preminger, Robert Siodmak and especially Phil Karlson among several others. Gimmick-king William Castle is a huge influence on me. The Vincent Price movies directed by Roger Corman and the Peter Sellers movies directed by Blake Edwards also inspired me. From the decade I grew up in–the 1970s–well, Spielberg and Lucas were of course the kings of fantasy-adventure and I loved the comedies of Woody Allen and Mel Brooks. I got into Scorsese a little later (wasn’t allowed to watch most of his work when I was a kid, naturally). Bill Forsyth and Joe Dante were pretty much “it” for me in the 1980s. From more modern times I’d say Christopher Nolan, Edgar Wright, Stephen Chow and Tyler Perry with Danny Boyle, Sam Raimi, Steven Soderbergh and Peter Jackson as honorable mentions. The honorable mentions are those who I feel haven’t been quite as consistent overall. One who hovers between best and honorable mention for me would be Wes Anderson, depending upon what day it is. You can see that in general I lean toward the helmers of genre films like comedy, horror and noir, as well as directors whose films are personal, individualistic works. There are also a lot of indie and foreign films I’ve dug over the years, but I simply can’t remember all the names of the directors. And if I may be indulged, I’d like to just prop up the Pixar team as a whole–their writers, directors, producers, animators, etc.–for making the most consistently well-crafted movies, period. I often say that if only the Pixar writers were employed to write the majority of live-action films that come out each year, we’d have much more better movies to choose from! In general, if I can do it by genre, the classic comedies, film series (especially the mysteries like Sherlock Holmes, Charlie Chan and The Thin Man and adventure fare like Tarzan) film noirs and horror films from the 1930s, ‘40s and ‘50s are a body of work unto themselves that is probably more consistent than anything else. Heck, throw comedy shorts and animated shorts from those years into that mix and there has never been anything better in my opinion. I’ll square off just about any film noir movie of yesteryear against the highly touted films of today and, for me, the oldies will trump the new productions in every category. PC: Carol Reed’s The Third Man. I consider it the best movie ever made, the film that most perfectly uses the language of film to tell its tale. However, while I consider it the best ever made and it’s a film I enjoy watching over and over, it is not my personal favorite. PC: Bill Forsyth’s Local Hero–which I consider transcendent. It has its down-to-earth side but legitimate claims can also be made for its artistic achievements. It’s been my favorite movie since I saw it on its initial release–no movie has ever supplanted it for me and I’m confident none ever will. PC: There are many, but I’ll go with a relatively recent one, from a director I put into the “honorable mention” category above. It is actually this director’s most acclaimed film: Danny Boyle’s Slumdog Millionaire. I actually found his film Millions with similar themes to be much more enjoyable and impressive than Slumdog. PC: I never did–I figure once I’ve paid for my ticket, I’ve made the commitment to stick with it no matter what follows. Although I was mighty tempted to walk out during Batman & Robin (the glossy Schumacher disaster with Clooney, Ahnuld and Uma). However, one of my favorite stories involves me witnessing someone else walking out on a film: while watching The Gods Must Be Crazy, one man in the audience couldn’t get through the “straight” documentary style opening. He shot up out of his seat exclaiming “the paper said this was a comedy–I’m getting my money back,” and stormed out. As soon as he left, the Coke bottle hit the bush man in the head and the comedy was non-stop after that! PC: I think each critic will answer that differently. Here’s what I’ll say about movie criticism. First, try not to give away the entire story and certainly don’t give away any surprises. Second…and this goes for anyone who watches movies, not just movie critics–remember that ultimately the only review that counts is your own! We’re not all going to react the same way to movies. There are a lot of movies I like that were panned by critics, and I know I’m not alone. And it works the other way, too–there are plenty of movies I didn’t like that were embraced by audiences and/or critics. For my Scared Silly: Classic Hollywood Horror-Comedies project, I’m trying to share my feelings on the films first and foremost–what did I like, what didn’t I like. Secondly I’m taking into consideration each film’s place within the conventions of that particular genre. It kind of goes back to your question about which films are underrated. In a standard movie review guide films like Sh! The Octopus, Ghost Catchers and Zombies on Broadway won’t get high marks, but as classic horror-comedies with some novel touches they get high marks from me. I guess the thing that really disappoints me is that the traditional B-movie has no place anymore. The studios have trained audiences to “not waste their money” on such films and rent them instead. But the traditional B’s were such a value for audiences–the audiences of yesteryear welcomed the opportunity to enjoy the latest exploits of Tarzan, Sherlock Holmes and the Bowery Boys. They grew to love the various characters that populated “series” films and also enjoyed one-off fare like the film noirs that were highly entertaining. Heck, sometimes those “B’s” even became classics–as many film buffs know Casablanca was made on a “B” movie budget and schedule! I recently watched the sci-fi-horror vampire actioner Daybreakers and it was a nice throwback to the old “B’s.” Splinter was another. Christopher Nolan, riding high with The Dark Knight and Inception, made his first mark when his low-budget noir-with-a-twist Memento became a modest hit (maybe more than modest considering its budget). I wish more of those type of films would break through to theaters, but it seems most are relegated to direct-to-DVD status these days. Notice I’ve left 3D out of this. I really don’t like to talk about that, because I really don’t want to see a world where 3D becomes the predominant way to watch movies. I still want the choice to not watch a film in 3D to exist. I’m hoping it always does. PC: I’ll say Sam Kitchin–we bought our house from him and he’s a terrific guy and actually quite a neat actor. He’s done some character roles in some major movies and TV shows and I really think he could become a character actor of note. I’d also like to see Lee Evans get a big breakout role. Some other talents I like that I feel are deserving of bigger roles and more notoriety are Gregg Binkley and D. David Morin. And the great Daniel Roebuck, who is writing the foreword to my book–well, he’s far from being relatively unknown but it would be awesome if he became even more well-known than he is. OGM: Who’s your favorite movie critic to read? PC: I’ve always liked Roger Ebert’s writing. I don’t always agree with him, but I’m always entertained by his writing. The same with Leonard Maltin. I’m more a fan of Leonard’s books about classic movies (books like Movie Comedy Teams, The Great Movie Shorts aka Selected Short Subjects, Of Mice & Magic and more are a major inspiration to me in my own project) than his movie review yearbooks, however. I also am a huge fan of John McElwee who has a wonderful blog called Greenbriar Picture Shows. It’s not so much a movie review site as it is a site about how classic movies were promoted. Well actually, it’s more than that–he does talk about the old stars and films sometimes offering his critical analysis of each, but mostly it’s about his memories of seeing those films and his rediscoveries of those films today. It is jam-packed with articles from trade papers of the day showing how each film was ballyhooed, how much money the studios put behind the PR campaigns and how much the films actually grossed. It is a really a neat perspective on how much movies were a part of people’s lives, especially in the days before TV. And it really shows how hard the studios tried to reach the common man with appealing B-pictures–a level of films as I mentioned above that barely exist anymore. John doesn’t just cover B’s though–he covers all of it with meticulous detail (including photos you will not see anywhere else) and eloquent prose. A must read. OGM: It’s almost time to wrap things up, but let’s get back to that question about your pick for most criminally underrated movie. PC: Well, it used to be Laurel & Hardy’s The Big Noise, which was vilified in several books over the years as being Stan & Ollie’s “worst.” But that film (a favorite of mine) has been vindicated by many in recent years. 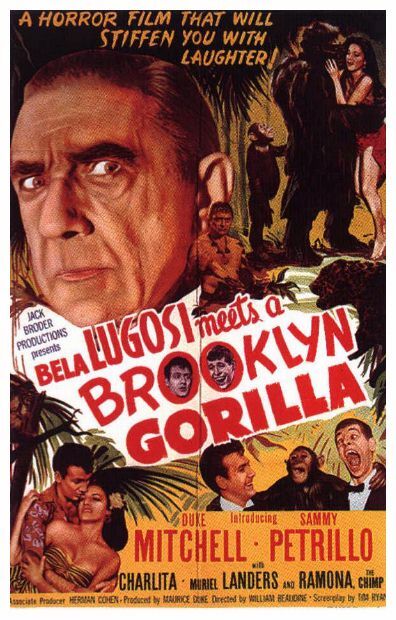 So I guess I’m left with Bela Lugosi Meets a Brooklyn Gorilla as my final answer. Thanks to Paul Castiglia for taking part in this edition of Critical Juncture, Be sure to visit his site, Scared Silly, and look for his upcoming book of the same title. Join us again next week, when we’ll be talking cinema with yet another film critic or movie blogger. This entry was posted on Saturday, October 2nd, 2010 at 4:51 pm and is filed under Movie Critic Interviews. You can follow any responses to this entry through the RSS 2.0 feed. You can leave a response, or trackback from your own site. Hey Shane – thank you so much for the opportunity to participate on your site! As Shane will attest, I went through several drafts before settling on what you see here – and inevitably as I read it I realize I left a pair of directors out of my favorites list – the Coen Brothers! Well, at least their comedies – “O, Brother Where Art Thou” is one of my favorite films of the past decade – maybe my very favorite from the decade and I’ve always enjoyed “Raising Arizona,” “Barton Fink” and especially “The Big Lebowski.” I find their dramas more hit-and-miss – in fact if I could have another pick at “overrated” I’d say “No Country for Old Men” which I consider one of the brothers’ weaker efforts. Just my opinion of course. Anyway, thanks again Shane!